Under the terms of the new promotion, consumers can bring any eligible handset —which includes the iPhone 4, 5, 5c, 5s, 6, and 6 Plus —to a local Apple Store and walk out with a new iPhone without paying the new phone's cost up front or signing a wireless contract. The balance can now be divided equally over 24 monthly payments, as noted by USA Today. If one were to trade a mint condition iPhone 4 for a 128-gigabyte iPhone 6s Plus, for example, it would cost $35.37 per month. That comes to just under $850, or about $100 off the full retail price. The lowest possible payment —swapping an iPhone 6 for an iPhone 6s —is $14.58 per month. Unlike Apple's iPhone Upgrade Program, which amounts to 24-month interest-free financing of a new iPhone, Trade Up With Installments does not appear to include AppleCare+ coverage. That would have to be purchased separately. The new offering also differs in another important way: it requires any iPhone purchased under the plan to be paid off before it can be traded in again. 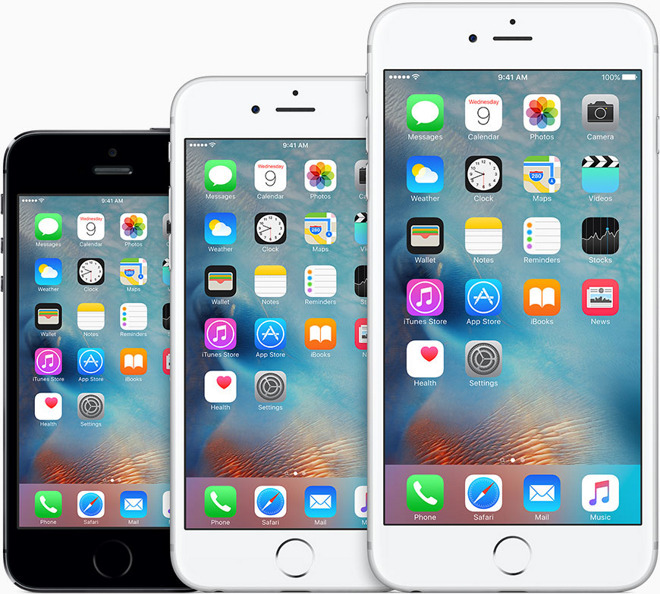 The iPhone Upgrade Program allows buyers to swap their phone for a new one each year. Apple's Trade Up With Installments program is available at Apple retail stores around the U.S. starting today.